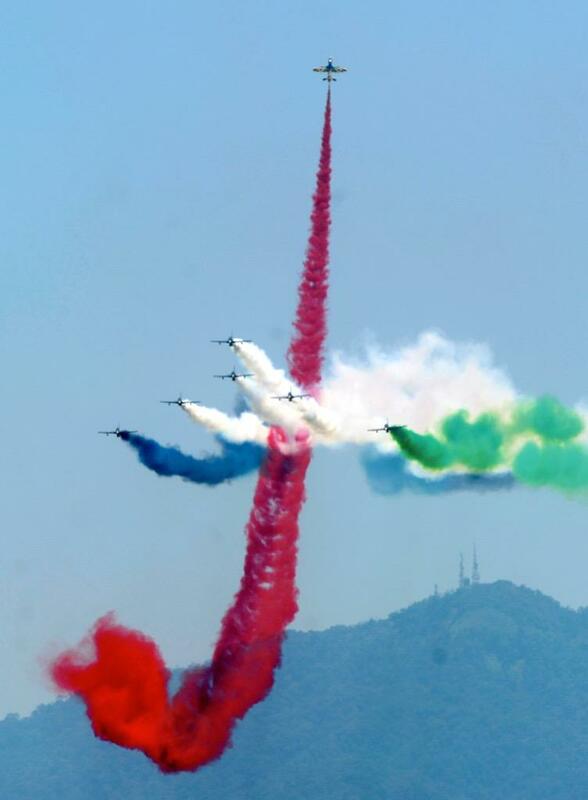 Despite the tragedy that took place in preparation for the Langkawi International Maritime & Aerospace (LIMA) 2015 exhibition in Malaysia, yesterday festival has opened in the most beautiful colors. Exhibition attended all 10 Defence Ministers of Asean countries. Prime Minister Datuk Seri Najib Tun Razak on Tuesday greeted this year's edition of the LIMA Exhibition, which sees the attendance of a record-breaking 512 companies from 36 countries, as the best since its beginning in 1991. "LIMA 2015 has seen many firsts and, with the multi-faceted and much diverse exhibition this time around, it is the best LIMA we have ever had," he said at festival opening. The opening ceremony was created with a 10-minute display by several fighter jets from the Royal Malaysian Air Force and a fly-past by the Airbus A400M Atlas, the newest asset of the air force. Besides the maritime and aerospace exhibition, LIMA 2015 also saw the organising of a multi-faceted seminar including the ASEAN Youth Programme, Chiefs of Navy Roundtable Talk and the ASEAN Aviation Summit as well as a Multi Nations Counter Terrorism exercise involving the police and military. LIMA 2015 will end on March 21.